Photo; In this Oct. 16, 2011 photo, Wang Lijun, the former Chongqing city police chief, delivers a speech during the 2nd International Forensic Science Meeting in Chongqing city.Color China Photo, via Associated Press; (Didi Kirsten Tatlow, Inside China’s Greatest Mystery, New York Times, February 12, 2012). I earlier posted articles about the mysterious disappearance of Wang Lijun, the Deputy Mayor of Chongqing. In China, rumors were earlier circulating via China’s social media that Wang was at the U.S. embassy in nearby Chengdu, where he was seeking to defect. For now, the rumor about his visit to the U.S. embassy is confirmed. 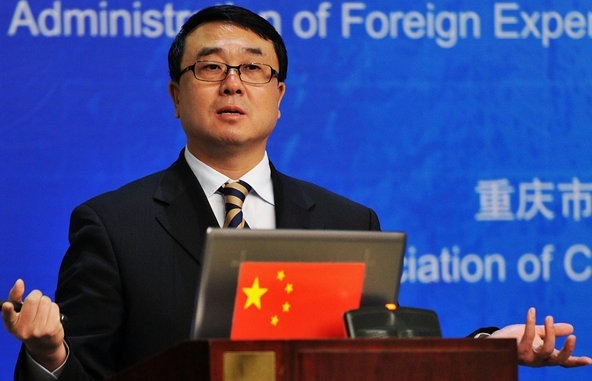 In the way of an update concerning the seemingly evolving mystery of Wang Lijun and his visit at the U.S. consulate in Chengdu, while facts or verifiable facts are still pending, there are plenty of rumors, theories, and spins in the aftermath of his visit. From earlier humors and speculations, such as Wang seeking to defect, seeking asylum, and suffering from overwork, the stories, humors, and theories did not stop, rather they begin to evolve and continues to evolve into a variety of possible scenarios. Notwithstanding tidbits of information or, perhaps more accurately, theories coming from so-called “insiders,” what we are hearing are not verifiable facts, because Chinese officials are still remaining silent about official positions, if any, which might be forthcoming. Today, for outsiders, what occurred and the future consequences of his actions are still pending. 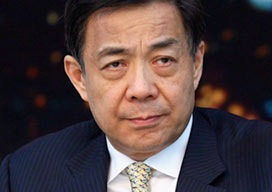 One consequence of his actions might well be the ending of the political career of Bo Xilai. It is also noticeably that the many rumors and theories are actually beginning to focus on the relationship between Wang’s actions and the political career of Bo Xilai. The relationship of Wang to Bo is critical, because Bo is the Communist party municipal secretary of Chongqing, which means he is Wang’s superior. This is also a key year for the Chinese Communist Party (CCP) because in 2012 the “Fifth Generation Leadership” will ascend to power. Bo also enjoys the status of being a member of the elite 25-person politburo. What is important to Bo’s political career is that it is from this elite politburo that members of the National People’s Congress Standing Committee (SCNPC) are chosen. The influence of scandal on Bo’s political career should now have become obvious, even more so when one considers other rumors or theories hinting at Wang being in possession of evidence of crimes and corruption, which impliedly will affect Bo. Moreover, during this period, it only gets worse if rumors or theories hold true that Wang’s life was at risk following a rift with Bo. Accordingly, he sought refuge in the U.S. consulate in Chengdu, China, because, “many speculate that” Mr Wang sought Mr Bo’s protection when the investigation appeared to be getting close to him, but that Mr Bo rebuffed him,” (Jamil Anderlini, Police chief turns against former mentor, Financial Times, February 13, 2012). In the same vein, another article appearing in the Financial Times also ties the mystery to Bo Xilai. “A mafia-busting former police chief called Wang Lijun spent more than 24 hours last week in the US consulate in the city of Chengdu arguing that his life was at risk after a rift with Bo Xilai, his boss and Communist party secretary of Chongqing municipality.” While scores of armed Chinese police surrounded the consulate, Mr Wang pleaded for asylum in the US. When that was refused he tried to cut a bargain with senior officials in Beijing, according to insiders.”. . . .
As news of Mr Wang’s attempted defection began to leak out on the Chinese internet last week, the government initially tried to claim that he was suffering from stress and was being given “vacation-style therapy”. It later said his trip to the consulate was under investigation. After leaving the consulate, Mr Wang was taken to Beijing, where he is believed to be in the custody of state security and the party’s disciplinary inspection organisation. Insiders said they believed this might have been the outcome Mr Wang was hoping for when he sought refuge in the US consulate because he is now probably in the hands of people who answer to Mr Bo’s political rivals. (Jamil Anderlini, The humbling of Bo Xilai, Financial Times, February 13, 2012). Mr. Wang was Mr. Bo’s top cop until early February. Yet no one knows for sure and no one doubts that the truth, when it finally comes out, will prove extremely complex. China’s blogosphere has been transfixed, with Sina’s weibo, or microblog, service, so far registering almost 2 million posts on the topic. (Mr. Wang later walked out of the consulate and likely flew to Beijing, personally escorted by a vice minister of state security, Qiu Jin, Bloomberg Business News reported. ), (Didi Kirsten Tatlow, Inside China’s Greatest Mystery, New York Times, February 12, 2012). As also observed by the New York Times (February 12, 2012), following an earlier leak on the Internet, China’s social media was also busy formulating rumors and theories. Their speculations, however, were a wide-ranging variety. Such as Wang’s attempt to defect to the United States, Wang is suffering from stress or overwork, Wang was seeking asylum at the U.S. consulate, and to being a mystery involving the politician Bo Xilai. In illustration, a sampling or excerpts of these speculations from Oiwan Lam, at Global Voices, provides an excellent sampling of some of the rumors and theories of Chinese netizens. Meanwhile on Twitter, netizens have their own speculation about what took place. I think someone wants to stop Bo from entering the Politburo standing committee and they do this by taking away his arms. Bo will sacrifice Wang Lijun to protect himself. During the cultural revolution, he even broke a few ribs of his dad’s, so betraying Wang Lijun is nothing. Wang Lijun probably sensed that Bo would betray him, which is why he ran into the U.S. Consulate. This is such an exciting opera. Mongolian Wang Lijun learned martial arts since he was very young. He could have led the independence movement of Inner Mongolia and become a national hero. But, he betrayed his people and lives in shame. In a society where people’s status is defined by that of their fathers, there is no way that a railway worker’s son can fight against the head of the princelings, Bo Xilai. He has no idea who is in control, so naive. Suddenly I feel that Wang Lijun is not stupid at all. He ran into the U.S. consulate in order to draw public attention, so that he wouldn’t be vaporized. In addition, he claims that he has all the evidence [on Bo] hidden in a safe place. In the case that he’s killed, the secrets will be revealed. That safe place might be the U.S. consulate. He has enough investigation experience that he should be more imaginative than any Hollywood director. Those laughing at Wang Lijun are too ignorant. I always said that our officials trust the U.S. government more than any other. People just don’t believe that Sino-U.S. relations are that good. Now, Wang’s move has proven it again, right? For us, those who are labelled as the US dollar gang [as opposed to the 50 cent party], we appreciate the U.S system and want to learn from it. But they [the officials] keep their family and wealth in the U.S. Please wake up, 50 cents! [Observation online] All people are talking about Wang Lijun online. The incident shows that in a society where everyone hurts everyone else, even though you are from the Establishment, there is no safety. Today you hurt someone, tomorrow you will be hurt either because of the clan you belong to or over someone’s interests. That’s why we say democracy is the way out of such mutually inflicted fear and harm. It has been proven that Wang Lijun did enter the U.S consulate. This is the first time since 1949 that such a high-ranking government official has made such a shocking move. Lin Biao’s escape, that failed. The fear that Wang is was confronting must have been enormous, or else he wouldn’t have made such a move. Wang Lijun’s actions and his future will have significant influence on China’s future political ecology and the psychological state of government officials. This political earthquake has only just begun. 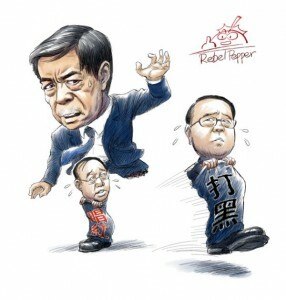 Source: Oiwan Lam, China: The Political Drama of Wang Lijun’s “Stress Leave” · Global Voices, February 11, 2012. As earlier mentioned, for now the mystery of Wang Liwung remains a mystery, and will remain so until we hear an official statement from Beijing or other appropriate source. For now, China-watchers only have the rumors, theories, and spins on this story, which are rumors, theories, spins, and statements from so-called “insiders”, which might or might not be sources of reliable information. However, in the end, time will tell all. Copyright © Protected – All Rights Reserved M. Ulric Killion, 2012.